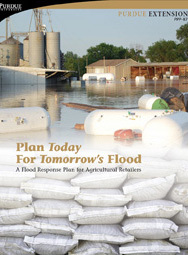 This publication raises the awareness of how floodwaters pose risks to both agricultural retailers and their communities. It includes the lessons many retail managers learned from their flooding experiences, and helps retailers examine what they need to do to create a flood preparation plan. Format: Book or online PDF.